Home > Blog > India's Boom Pushed Cities to Their Limits. Here's How Pune Coped. Like many Indian cities, Pune's population exploded over the last three decades. Between 1981 and 2011 it more than doubled as thousands came to work in manufacturing and IT. And like other cities, Pune expanded, eventually engulfing 23 previously separate villages. This strained basic services, especially in the slums at the edge of town, where 36 percent of the population lives. But unlike other Indian cities, Pune took new approaches to waste management and urban mobility. In a new case study of the World Resources Report, "Towards a More Equal City," Lalitha Kamath, Himanshu Burte, Avinash Madhale and Robin King explain the conditions that led to new tactics, as well as the limitations that slowed them down. In the 1990s, Pune was choking on its own garbage. Thousands of waste pickers scoured the city for recyclables they would sell for a meager profit. As the city's central decision-making authority, the Pune Municipal Corporation (PMC), struggled to improve waste management, independent waste-pickers formed a union to fight for their rights as workers—and for fair compensation for the value they provided to the city. In the 2000s, with the state of Maharashtra pressing the city to find a strategy for door-to-door waste collection, the PMC saw a win-win opportunity. The city signed a contract with SWaCH—India's first fully owned cooperative of waste pickers—in 2008. The cooperative would collect waste and recyclables door-to-door, while the PMC provided equipment and handled administrative costs. Waste pickers organized. 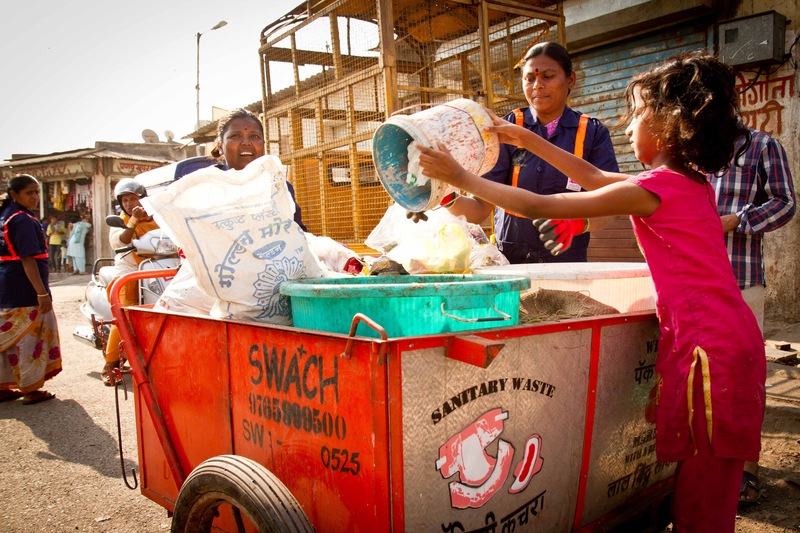 Pune's waste pickers were marginalized just like many others around the world, but by organizing politically they were able to advocate for their rights—and ultimately a city contract—much more effectively. They even raised the issue of failing waste management to the national level. In 2000, the Supreme Court of India passed a landmark judgment mandating door-to-door waste collection and the diversion of waste away from landfills and into processing and recycling. Civil society worked with government. Organizations in the city were able to build close working relationships with the Municipal Commissioner and the PMC despite many disagreements and confrontations. Government was open to change. The PMC remained open to working with the civil society organizations, even after they were sued by them. The PMC recognized that SWaCH offered a model that was more cost-effective, efficient and sustainable than mechanized models of primary collection that do not support waste segregation. Pune's rapid growth began to overwhelm its transportation system. In 2004, the civil society organization Pune Traffic and Transportation Forum outlined a vision of transportation reforms, including improvements to public transport and pro-pedestrian street design. By 2005, other civil society organizations had convinced the municipal commissioner and the PMC to pursue bus rapid transit (BRT)—a system with dedicated lanes for high-speed buses that can bypass other congestion. With political and financial support from the Ministry of Urban Development, India's first BRT opened in Pune in 2006. 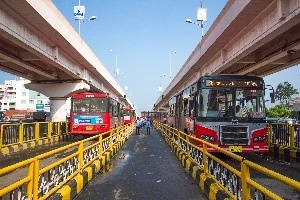 Even though the pilot route of 16.5 kilometers (10.2 miles) of BRT revealed many problems with institutional capacity to design, construct, promote and manage the system, the innovation significantly improved the lives of commuters, and six other Indian cities have adopted BRT in the years since. Pune's BRT pilot increased bus speeds from an average of 8 kilometers per hour to 13 (5 miles per hour to 8), reduced accidents and breakdowns, and ultimately increased bus ridership by 22 percent over a three-year period while increasing profits per bus. BRT helped transform Pune's mobility and offered an example of sustainable urban transport that other Indian cities have adopted. Activists drew attention to broader environmental and social issues. Civil society organizations connected transportation to loss of public space, tree-cutting to widen roads and pollution of local rivers, lending momentum to a new way of doing things. Civil society organizations followed more progressive national policies. Savvy local groups tapped into the Ministry of Urban Development's Jawaharlal Nehru National Urban Renewal Mission, which ultimately provided invaluable financial and political support. Municipal decision-makers were, once again, open to change. Changes to the transport system, which eventually stretched beyond BRT, started incrementally and were often proposed by civil society organizations, but ultimately it was local government officials implementing policy changes. While new approaches to waste management and transport yielded social, economic and environmental benefits for Pune, both efforts are now threatened by competing political agendas and personal interests. As waste has become increasingly valuable, the PMC has begun promoting parallel models that benefit politicians at the expense of waste pickers and the city's environment. While the SWaCH model is still in place, there has been friction between waste pickers and the city over payment and coverage, and officials have threatened to switch to other providers. After the first five years of BRT, Pune's councilors have also pushed for a "mixed" BRT—a stretch of road without dedicated bus lanes—even though the central government has refused to fund this technically contradictory idea (dedicated lanes are a core operating principle of BRTs). In 2012, the city adopted the national 2008 Comprehensive Mobility Plan only after retaining the right to modify it from time to time, arguably to keep the door open for highly visible but technically dubious projects like highway overpasses. These local contradictions mirror those at state and national levels. For instance, the government of Maharashtra developed a state urban transport policy aligned with the sustainability-oriented National Urban Transport Policy. But Maharashtra is also pushing through a metro rail for Pune, disregarding the opposition of advocates who argue it is too expensive and will not reach many residents. In the Indian context, where cities are politically weak, civil society and multiple scales of government need to cooperate to achieve city-level transformative change. This has resulted in mixed outcomes. However, there have been substantial improvements for Pune's citizens, and the city has become a model for others. What cities need and want from state and national government is policy, financial and knowledge support for sustainable and inclusive change that also allows them the freedom to choose their preferred pathways towards sustainability. Formal commitment to urban sustainability at the national and state level is important to provide political cover and measurable goals for cities. But while more autonomy at the local city level is essential to encourage innovative and context-specific solutions, the experience of Pune suggests that support from other levels of government is sometimes needed to help cities effectively implement those solutions and sustain them in the long run.